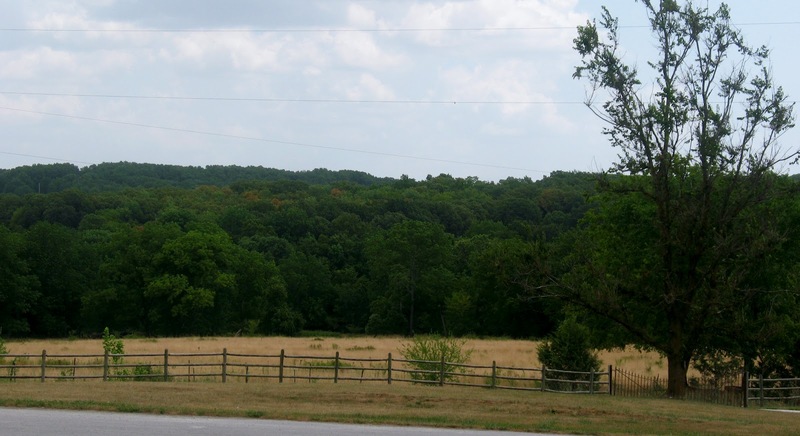 One week ago today, we took a trip from Branson, MO, to the little Ozark town of Mansfield, about an hour and a half away. It was on some land near Mansfield that Laura and Almanzo Wilder settled, with their daughter Rose, in 1894. Although life wasn't always easy for the Wilder family, the farm became a success, Rose became a famous author and world traveler, and of course, Laura became a famous author, too. 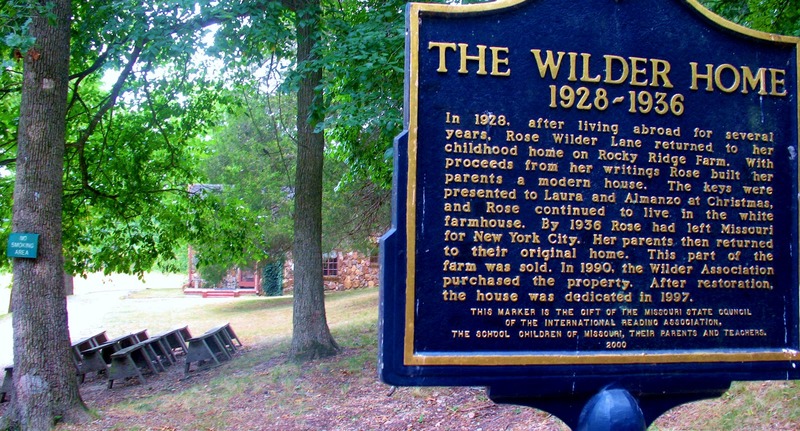 Soon after Laura's death in 1957, the Wilder Home Association was established. (You can read more here.) 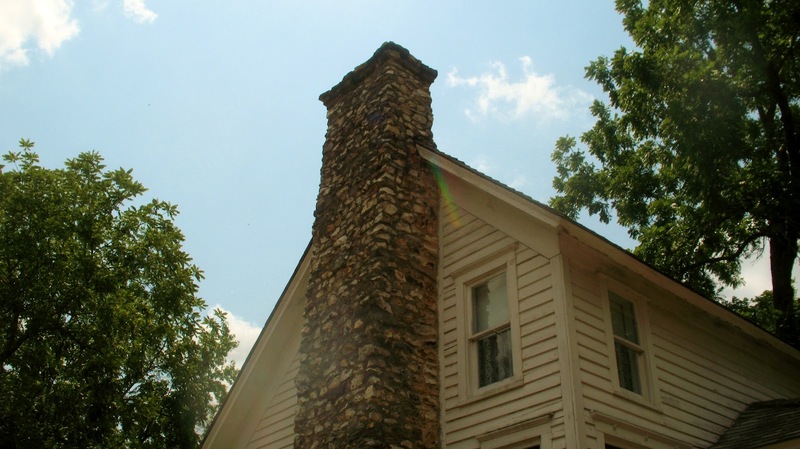 The Association has done a lovely job preserving both the main house and the Rock House, a small modern home gifted to her parents by Rose. 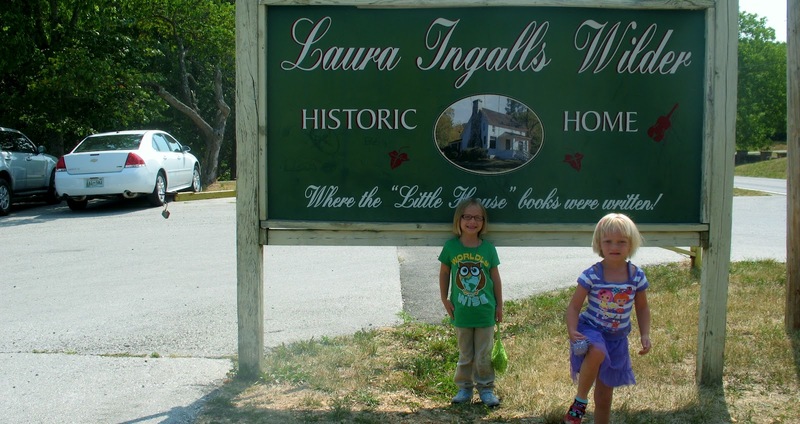 There is also a museum of Ingalls and Wilder family artifacts, including Laura's Bible and reading glasses and Pa's fiddle. Someday we'd love to return in September for Wilder Days. The festival includes a Laura and Little Farmer look-alike contest and a playing of Pa's fiddle. If only it wasn't during the school year... it's a bit of long drive. 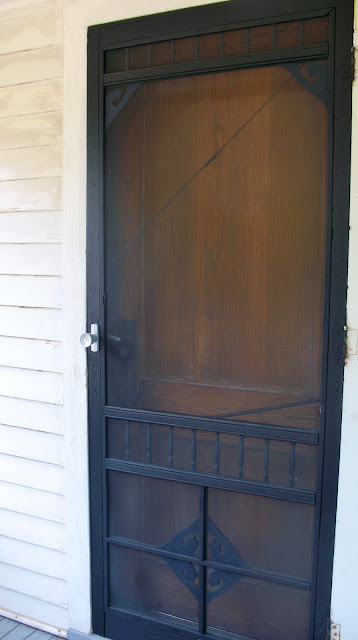 One more note before I post any pictures: visitors are not allowed to take pictures inside the homes or museum. 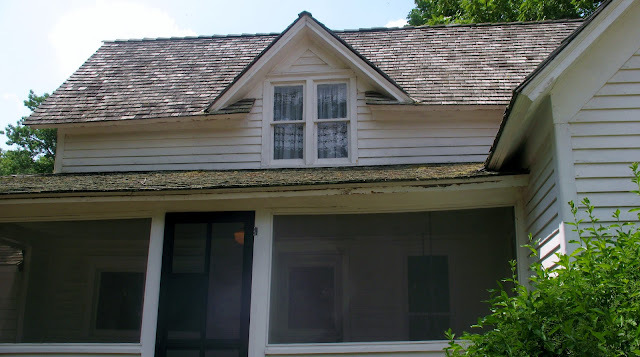 I would love to show you Almanzo's craftsmanship - he built the main house himself, over a period of time. (They just kept adding on!) And Laura's kitchen is adorable. The counters are built very low, because she was only 4'11"! There is a gallery at the official website here, and there is a gallery on the White House website from Laura Bush's visit in 2008. 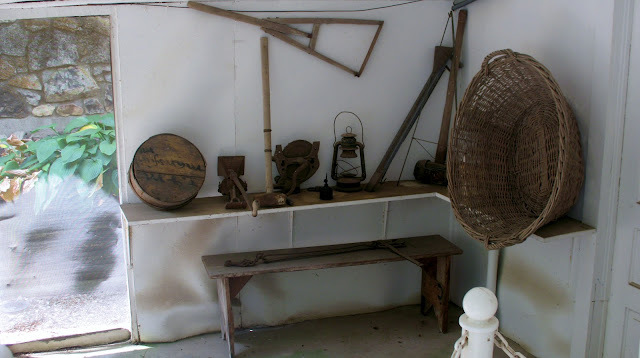 There are many pictures of the farmhouse (that kitchen!) in The Laura Ingalls Wilder Country Cookbook, too. You park across the street from the farmhouse and museum. 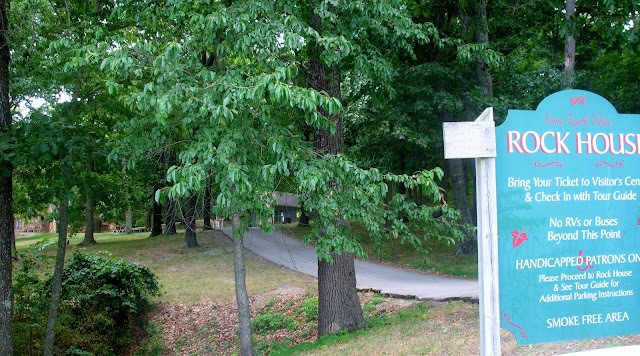 This sign is there to greet you. One is much more enthusiastic than the other. 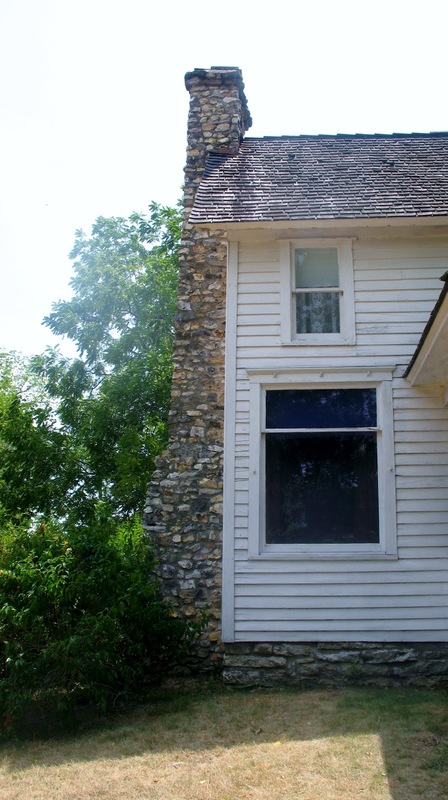 Almanzo Wilder cut the wood and carried the rock to the farmhouse site himself. View of one of the porches. Historic markers, located on the back porch. This is the door we entered from, which leads to that kitchen... that wonderful kitchen. Back porch, off to the side. By the way, you pay at the Museum. 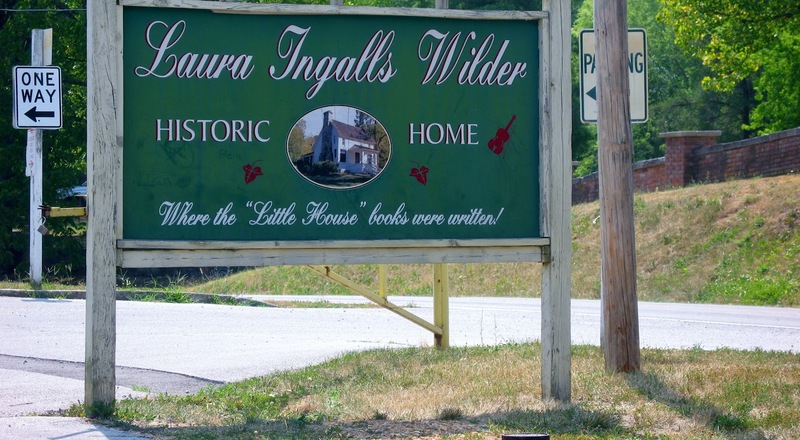 It is in this little building that you'll find treasure's such as Pa's fiddle, Laura's glasses, and a whole area set aside for Rose Wilder Lane. One last picture: the historical marker at the site. 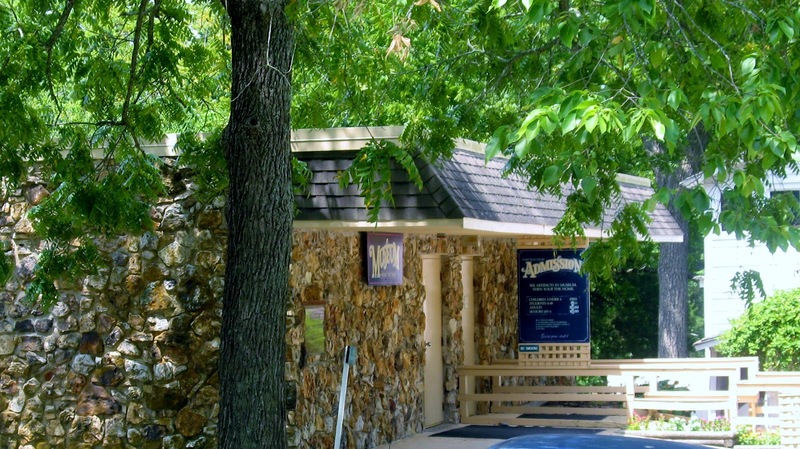 I guess you can walk to the Rock House, but the museum folk recommended driving there. 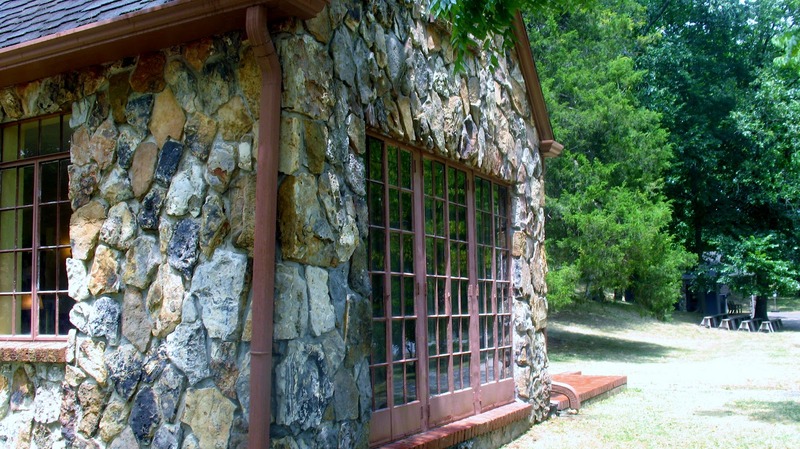 Laura and Almanzo found the Rock House to be very isolating. Even now, with other homes built between the farmhouse and the Rock House, the location is a very quiet (and beautiful) one. 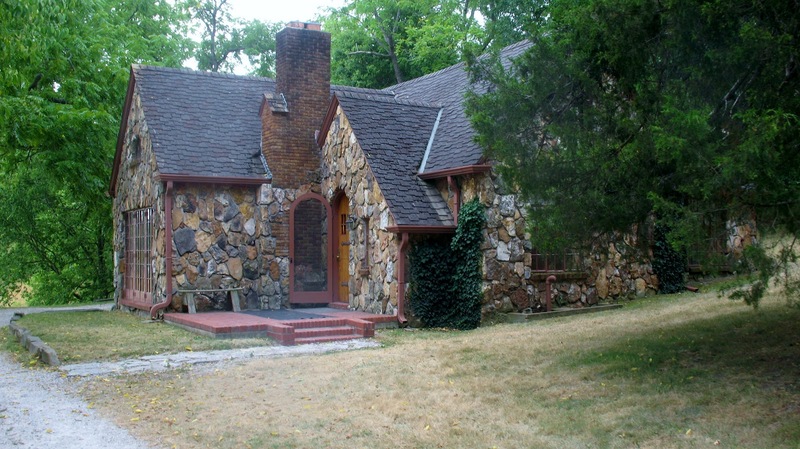 A bit about the Rock House. The Rock House was built from a plan offered by Sears-Roebuck, but constructed to Rose's specifications. 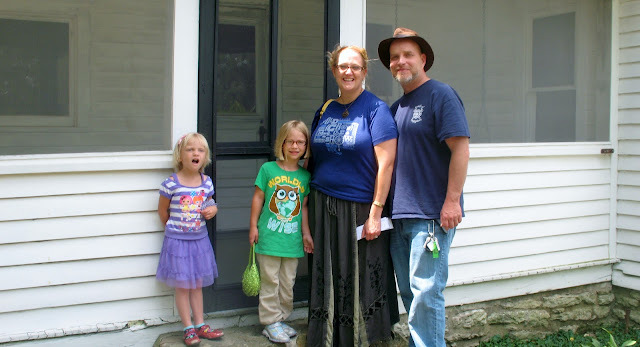 She worked with an architect to ensure it was just right, and she had both it and the farmhouse (which she continued to live in, during that time) wired for electricity, years before anyone else in the area had it. 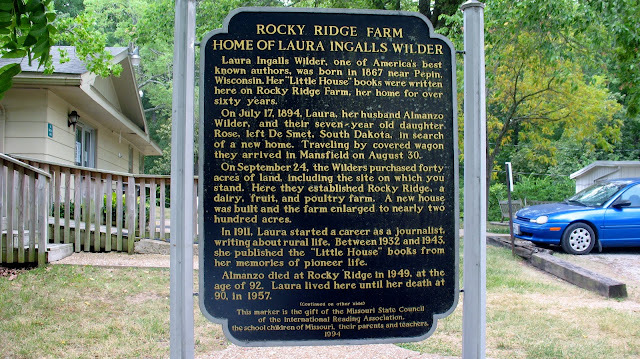 It was at the Rock House that Laura wrote the first four Little House books. Her desk and the furnishings moved back to the main house with them. 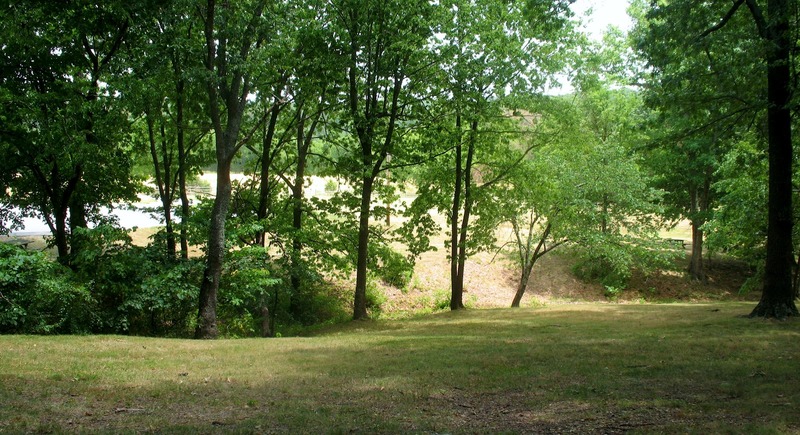 They sold the Rock House and this section of the farm, and promised to never leave their beloved farmhouse again. The location really was beautiful, though. WOW! 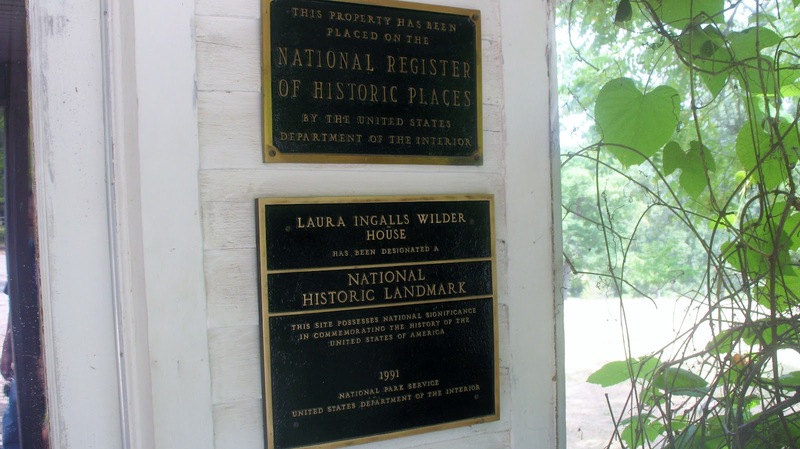 This is all so wonderful, I love reading the historical markers and those houses look amazing! I really hope I get to visit these sites someday. Maybe with my mama when my little girl is big enough to appreciate. That would be incredible! You definitely feel very close to Laura here. The interior of the farmhouse is wonderful. Her woodburning stove (from her trusty Montgomery Ward catalog! ), her writing desk, their framed magazine pictures, and all the chairs and lamps Almanzo built for the house... The husband and I loved it all.